As you would expect, the ancient Kingdom of Fife has a rich history with royal burghs, palaces and castles stretching from the Firth of Forth to the Firth of Tay. Originally made up of several areas, each having its own king, Fife still has distinct areas. In the West part you will find Dunfermline with the Abbey, the final resting place of many Scottish kings and Queens, including Robert the Bruce, heartless because his heart is buried in Melrose Abbey. Mid Fife was traditionally known for the mining of coal –for many years the Scottish equivalent of gold. The homes of the close knit mining community can still be seen in the villages. The East Neuk villages with their windows to the North Sea can hardly be more different. Possibly the most well - known historic site on the east coast of Fife is St Andrews Cathedral with its 33 metres high St Rule’s Tower, built around 1130, from which you have wide ranging views over the town and coastline. St Andrews is, of course, the seat of Scotland’s oldest university and the spiritual home of golf. In North Fife you will find the medieval burgh of Cupar. 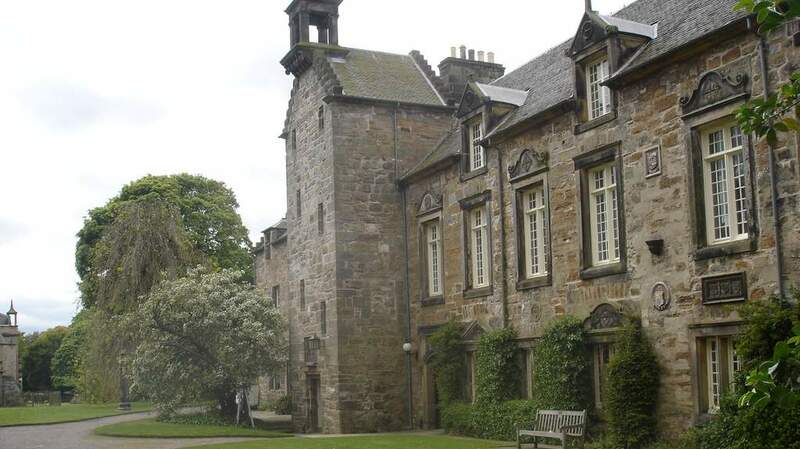 Nearby is Falkland Palace where you can learn about Real Tennis and at Hill of Tarvit Mansion House you can even play a round of golf as it may have been played in Edwardian times with authentic hickory clubs and balls. Spectacularly located right on the coast and on the edge of the ancient burgh of St. Andrews, the ruins were once the largest and most magnificent Cathedral in Scotland. Visit St. Rule's Tower, part of the first church built by the Augustinian canons in the early 12th century and see the fabulous views from the top of the Tower. Within the Cathedral Museum it is possible to see the St. Andrews' Sarcophagus which dates from Pictish times. The Mansion House of Hill of Tarvit sits above the town of Cupar. 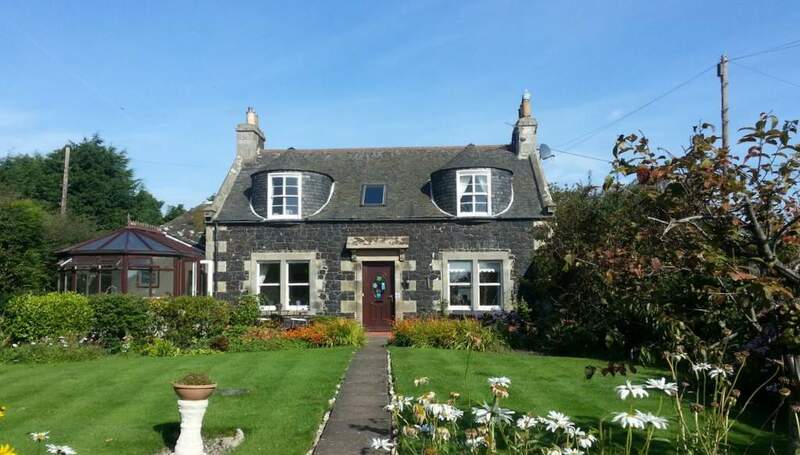 Originally built in the 1600s it was completely refurbished in 1906 by the then owner, a wealthy jute mill owner, who wanted to display his collections of furniture, paintings and antiques. The remodelling of the house was done by Sir Robert Lorimer. The historic village of Culross sits on the banks of the River Forth between Dunfermline and Alloa, close to Kincardine.The village is a fascinating place to visit, wandering the cobbled streets and looking at the 16th and 17th century buildings. The Palace is open in the afternoons, and is furnished with period pieces, the decorated ceilings are authentic and the tiered gardens to the rear are a delight to wander through. The Townhouse is also open to the public and was the centre for commerce in the town. It is also supposed to be where Bishop Leighton of Dunblane Cathedral wrote his sermons. Originally founded as a priory by King Malcolm's wife, Queen Margaret, sometimes known as Saint Margaret, it was re-established by their son King David as an Abbey and is the burial place of Robert the Bruce (minus his heart which is buried at Melrose Abbey in the Borders). The Abbey complex is also the site of the Palace built by King James VI for his wife Anne of Denmark. Adjacent to the Abbey and accessed through the grounds is the Abbot's House, painted bright pink, it's hard to miss. The Abbot's House contains an excellent exhibition of the history of Dunfermline from prehistory through to the Second World War. Located just below the Forth Bridge and offering excellent views of it, the Light Tower is the smallest working light tower in the world. Only 24 steps take you up to the lamp, where you can discover how the lamp was maintained by the lighthouse keeper. The North Queensferry Harbour Light Tower was designed by Robert Stevenson and built in 1817. The Tower is located close to the Fife Coastal Path and is not far from the Carlingnose Reserve.